The Nintendo Download Update is live in Europe, and it's a crowded line-up to pore over. 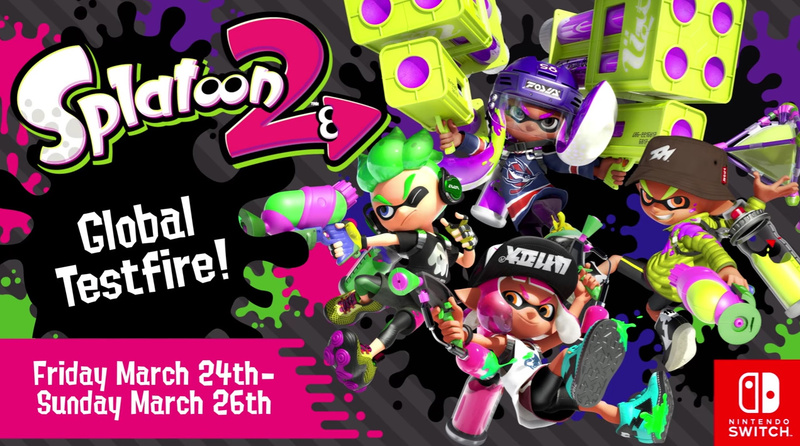 This week sees the arrival of the Splatoon 2 Global Testfire download and a Neo Geo title on Switch, while there's a glut of interesting options on Wii U and 3DS - let's get to it! Splatoon 2 Global Testfire (Nintendo, free) - With online sessions coming up in a little over a week this download is now available to download in Europe - it's only listed as 410MB, so it'll happily fit onto your system's internal memory; you can't actually play it yet, of course. The King of Fighters '94 (HAMSTER, €6.99 / £6.29) - We've already had The King of Fighters '98 on the Switch eShop, but why not go back to a previous entry? We quite enjoyed this one in our original review. This is part of the ACA series, and so features various menu options and online leaderboards. 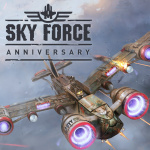 Sky Force Anniversary (Infinite Dreams, €7.99 / £7.19 until 23rd March, normally €9.99 / £8.99) - A shmup released to some critical acclaim a decade ago, it arrives in remastered form promising improved visuals and a 'powerful upgrade system'. The Wii U has had some decent shooters like this over the years, so we'll see how this one stacks up. ACE - Alien Cleanup Elite (Nitrolic Games, €5.00 / £4.49) - Definitely riffing on run and gun action titles from the '90s, it'll be interesting to see whether this one can rise above some rather iffy screenshots to be a fun game. Double Breakout II (nuGAME, €7.00 / £6.00) - 20 new stages, but otherwise seemingly along the same lines as its predecessor; it's Breakout for up to two players, and we're not sure what else there is to say. 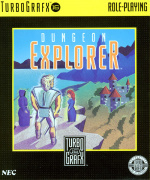 Dungeon Explorer (Konami, €5.99 / £5.39) - The TurboGrafx-16 is back on the Wii U with this action RPG that supports up to five (!) players. 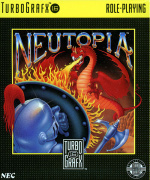 Neutopia (Konami, €5.99 / £5.39 ) - Another action RPG as Konami leverages the properties it acquired from Hudson in the past, we rather enjoyed this TurboGrafx-16 title when we reviewed it on the Wii Virtual Console. Frontier Days - Founding Pioneers (CIRCLE Entertainment, €5.99 / £5.79) - This frontier building sim title actually came to Switch as a launch release, but now arrives without the 'New' part of the name and at a lower price on the 3DS eShop. We'll see whether it's worth a look for sim fans. 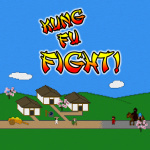 Kung Fu FIGHT! (Nostatic Games, €2.25 / £1.99) - This twitch-reaction runner was previously released on Wii U; there are multiple difficulty modes available and we gave this a recommendation in our Kung Fu FIGHT! review. Parascientific Escape: Gear Detective (CIRCLE Entertainment, €5.00) - A follow-up to a bit of a surprise gem from 2016; this was actually released a couple of weeks ago, but the Euro-only listing here indicates it's arriving in additional countries. 6180 the moon (Turtle Cream, €3.99 / £3.59) - Previously on Wii U, this platformer sees players take control of the moon on a journey to find the sun. It uses two screens for the playing field, requiring players to look between the two as the moon bounces high and low. We loved this in our 6180 the moon Wii U review. Double Breakout (nuGAME, €7.00 / £6.00) - It seems we're seeing a mini-revival of Breakout games; this effort from nuGAME (previously on Wii U) promises to blend elements of Breakout and Pong over 20 stages (with support for two players). DON'T CRASH GO (RCMADIAX, €1.49 / £1.39) - A portable iteration of this simple score chaser; we were scathing in our assessment of the original in our DON'T CRASH review. FOUR BOMBS (RCMADIAX, €1.49 / £1.39) - This appears to be conceptually similar to Minesweeper, as you take on randomly generated levels to find and identify bombs on a grid. I need Splatoon 2 in my life right now. Honestly, you'd think they would have prepared so this sort of thing didn't happen. When the only things to download are either a really old game or a demo you aren't even able to play yet... meh. At least we know next week we'll get those Tomorrow Corp games, but I'm still feeling let down. As the Switch is supposed to be 'region-free' why aren't Binding of Isaac, World of Goo, Little Inferno and Human Resource Machine, all of which get a USA release?? Although I do already have plenty to play on my Switch, a bit disappointing to have nothing of significance added to the eShop this week. Was really hoping for the Tomorrow Corporation games but I guess that'll have to wait till next week. How did the TurboGrafx-16 support up to five players back in the day? 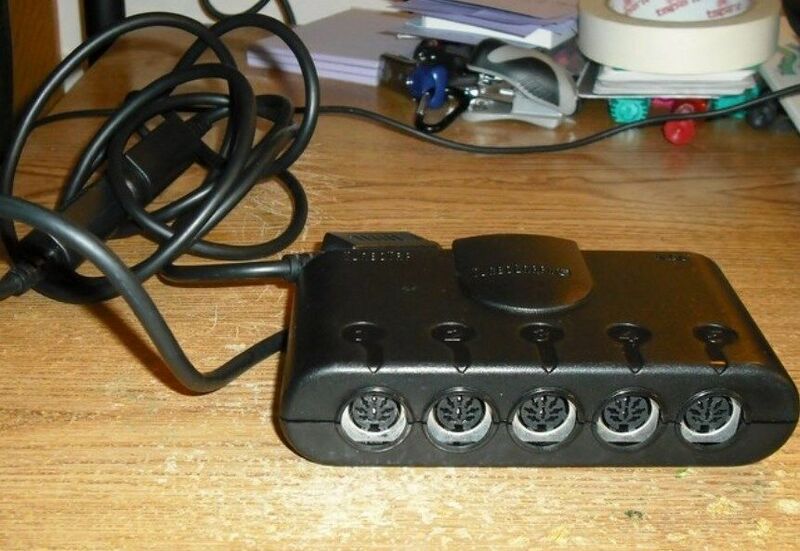 Did it really have five controller ports? If it did, it's a peculiar number; why not six? Another atrocious week. Get your act together Nintendo. This is make or break for them in the hardware stakes. Pretty solid week for the Wii U for post-Switch launch. If Nintendo keeps this up it may make sense to put Wii U above Switch in these weekly download updates. It's almost as if Nintendo keep treating their loyal European customer base with total contempt. COME BACK SEGA, ALL IS FORGIVEN!! come on Nintendo a demo and an old game is that really it? they should be releasing way more titles each week to build up a solid library in the eshop. What's an eshop? Do you buy drugs there? @Mart1ndo : There isn't much of a selection available if you're feeling adventurous. Mushrooms and heroines are still months away. Did I miss something? When did you guys start getting your eShop updates on the same day as North America? 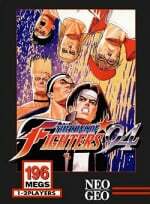 King of the Fighters 94 is a strange choice as the next ACA game,you'd think they could have waited a few weeks to release that and gave 98 a few weeks in the spotlight.98 is the strongest entry anyway,so yeah strange choice. Poorly planned update by Nintendo of Europe.They could have held back one or 2 of last weeks releases to fill out this weeks update.it doesn't look good to any new adopters who don't keep up with Nintendo news. Welp, the Switch releases are poor, but suddenly the WiiU and 3DS are suddenly getting lively again. @Akropolon I agree , very disappointed with this weeks download news . Was that not last week? Why are all the Shm'ups appearing on the Wii U NOW? Where were they a year ago when the Switch was but a twinkle in our eyes? @Mart1ndo Well... it was until this week happend. Last week was slightly better because there were two games available to download. Nothing. Doubly disappointing that I now have to wait until Thursday to be disappointed by what's coming out. Eshop releases isn't looking any better so far. Time for an opinion piece on NL about the poor Nintendo form re: digital downloads not getting better even after the Switch release. Not really a compelling case for upgrade to Switch just yet. @SLIGEACH_EIRE My switch is literally sat gathering dust. It's only two weeks since launch but I am starting to worry that I will have only about 3-4 games worth playing on it by xmas. Might have to buy World of Goo from the American store then. Can get topups online. Snake Pass in 2 weeks tho.. I swear, half of the 3DS themes are made of Hello Kitty themes. And I'm really curious, why that Italian cartoon gets the spotlight recently? Nothing for me, but I'd be all over the Splatoon 2 Testfire if I had a Switch. @NewAdvent Getting the patch later may be too late. People don't think: they'll assume that's the final version of the game, then will give bad ratings and in general, this may influenence the sales. That's the best explanation I have in terms of language. 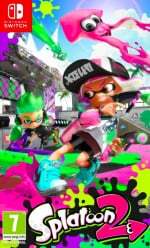 Omg...I love Splatoon! Bring on the demo! You guys should post Japan's eshop too and which games come with english options. And this Nintendo, is why "No VC at launch" is a bad idea. Releasing 20 old games per weak that everyone already owns still looks better than releasing practically nothing. Also, @Staff, what @Xaessya said ! Now that you can access it, its actually worthwhile to include a weekly recap of the japanese releases ! "It had 1 iirc but the multitap gave it 5"
@ThumperUK You really don't understand what 'region-free' means? Do you? wasn't afterbirth+ supposed to release on the same date in the US and EU?! I voted. Nothing for me this week, all though the RPG for Wii-U sounds good. Come on Nintendo make a full VC possible with Switch please. 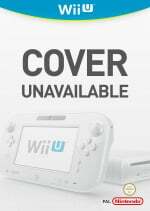 @Einherjar Agreed, right now the Nintendo download articles make it look like the Wii U is replacing the Switch which should not be happening 2 weeks into a new console launch. Like i said, something that could have been prevented with the VC, even though it would have been nothing but smoke and mirrors. We all knew the Switch was still rushed out, so its no surprise that the big hitters are still not ready. Which is perfectly fine tbh. But you need a plan B for this situation ! Start dripfeeding VC titles that work no matter what: NES, GB, GBC. Just fluff to fill up the eShop. Its cheap but it works ! @Kayfios Must admit I don't like much getting the list on the day of download. Planning purchases was rather easier when you could see what software was upcoming, especially with respect to time limited sales. And it made Mondays more interesting! @Blister Yeah, if Nintendo was gonna change one schedule to match the other, I'd have liked to know what was coming later in the week to build anticipation. No need to be rude, I do have a 'basic' grasp of my own language. 9.99 for the switch ... 5.99 for the 3DS ... same game, really good. First day purchase both. The "new 3DS" titles are very interesting. Back then I remember the fanboy enthusiasm.. a new wave of great games to appear. And yep, I apologize for calling it a cheap rip off and slap in the face. First Day purchase (along with the "new" 3DS) - cant wait to play a minesweepers clone and breakout. Anyone noticed any framerate issues? @manu0 They finally anounced a box version in Europe too. So I'm afraid we're in for a long wait as it seems logical they'll want to release both digital and physical on the same day. @manu0 I'm trying to, but my credit card won't work. I'll keep you posted if I find a way. @manu0 Thanks, I just bought some on Play Asia, it works great too ! @FX102A A lot of people aren't buying Switch. While the Wii U install base isn't large, there's still money to be made there from people who don't have a Switch and aren't getting one.